That’s the dream of any make money online enthusiast! We all want money, not just money but Freedom! The freedom to do whatever we like and not bothered about the excesses of an annoying 9-5 boss. Now, how does a newbie like you with no prior knowledge, no audience sift through the online noise and earn substantial income off the Internet? Affiliate Marketing is a multi-billion dollar industry! There is no limit to how much you can make with affiliate marketing. Once there are products to promote, you can earn as much as you want passively. How would you love to make money and become financially free without any active work? What is affiliate marketing and how do you get started as a beginner? 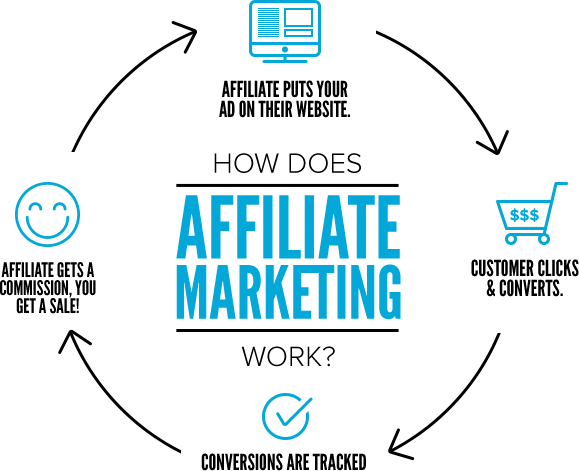 Let’s take a deep dive into this affiliate marketing for beginners guide! Pat Flynn of Smart Passive Income defines Affiliate marketing as the process of earning a commission by promoting other people’s (or company’s) products. You find a product first. You use it, like it and promote it to others to earn a piece of the profit for each sale that you make. Neil Patel defines affiliate marketing as the process of spreading product creation and product marketing across different parties, where each party receives a share of the revenue according to their contribution. I would say affiliate marketing is the process of getting a product created by the product creator down to the final consumer via independent marketers who are known as affiliates of this product. Each party involved in the chain gets a share of the product revenue. Parties Involved in Affiliate Marketing. There are actually four parties involved in an Affiliate Marketing system. Also known as the Merchant, Seller, the brand, the retailer, or the vendor, the product creator is the starting point of every affiliate marketing system. This party creates the product. It could be an individual just like Spencer Mecham (who created Affiliate Secrets 2.0 course) or a big company like ClickFunnels (who created the #1 sales funnel building software in the world). Once you have a product to sell, you can be involved in an affiliate marketing system as the product creator. This is the direct middleman between the product creators and final consumers. They could be single individuals like myself or big companies. Their duty in an affiliate marketing system is to find products they love from product creators and market them to the final consumer. They would talk about the product, how it solves a problem and convince their audience to click the buy button. Once they make a sale, they get paid affiliate commissions in the form of a percentage of the cost of the product. The is the final part of any affiliate marketing system. An affiliate marketing system is incomplete without the party releasing money to buy the product of the product creator. This party basically buys the product created by the product creator based on the recommendations of the affiliate marketer. A lot of other sites won’t consider affiliate networks as part of an affiliate marketing system but I do because they play a pivotal role in the affiliate marketing system. The affiliate network acts as an intermediary between the product creator and the affiliate marketer. On any affiliate network site, you would find tons of products from various product creators you can promote as an affiliate marketer. Some affiliate networks even handle product delivery and payment for product creators. Its a great choice for product creators as it makes the system easier for them. As an affiliate marketer, if the product you want to promote is listed on an affiliate network, you’ll have to join that affiliate network before you can get access to promote that particular product. You can also promote other products from the database of products on the affiliate network once you join. You can get started with affiliate marketing as a beginner in three simple steps. This is your first step in starting affiliate marketing. A lot of beginners go wrong in picking a niche and they end up giving up when it doesn’t work for them. You shouldn’t follow suit so ensure you spend ample time in doing niche research before deciding to stick with a niche. My two cents to beginners in selecting a niche is to always follow their passion. Pick something you’re deeply interested in, have a passion for and have solid knowledge about. It’s easy to get bored promoting a product about dog feed when clearly, your passion lies in weight loss. You would give up so easily if you don’t understand your market, for sure. Focus on a niche you love and you will perform well and earn you the trust of your audience. If you know your onions real good, it won’t be long before you become an authority in that niche, trust me. To make niche selection easier for you, the ClickBank Affiliate Marketplace has categorized its products. You can just scroll through and see what niche you’re passionate about, has less competition, is lucrative (has enough products to promote) and would be a great fit for you. Your second step is to join affiliate networks and programs in your niche. Look for quality products to promote as an affiliate. There are various affiliate programs in your niche which you can become a member of and get access to promote these affiliate products. ClickBank, JVZoo and Commission Junction are examples of affiliate networks. I wrote an article earlier on the top 10 affiliate networks you should join and get a ton of niche products to promote. There are thousands of product merchants on those platforms waiting to hand you money just to get their products sold. Also, there is a little hack which I use to get standalone affiliate programs to join. Go on to Google and type “Your niche name + Affiliate Program”. For instance, if you’re in the weight loss niche, you’d go ahead to type “Weight Loss + Affiliate Program” in the search engine bar and you’ll be presented with a variety of standalone affiliate programs to join in the results. 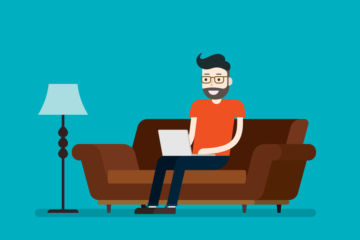 Again to make things easier for you, I have a list of 100+ lifetime recurring affiliate programs which you can sign up with and start earning commissions. There are several factors you should consider before deciding to stick a product aside from the high commission. Factors like affiliate support, recurring commissions, product sales page conversion, sticky cookies availability and affiliate promotional materials availability (articles, text links, banner ads, classified ads, reports, etc.). Good affiliate networks and programs would give you that so be wise enough to select the right affiliate program and products. This is where things begin to get more fun and technical at the same time. Once you’ve picked a niche and gotten good products to promote, then you can start marketing these products so you can smile to the bank asap. What do you need to get the products sold? Find your niche audience who would be interested in buying the products and market it to them. 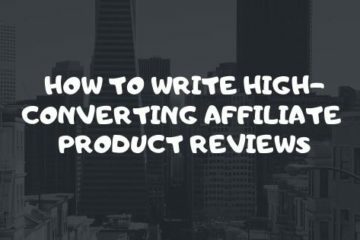 There are various techniques and strategies for promoting affiliate products and I’ll share a few with you in the next section. There are various marketing strategies you can employ in order to succeed in promoting a product as an affiliate. You can create your own affiliate niche site (like this one) and write product reviews to get targeted organic traffic. Make sure you also write helpful niche articles to build trust with your audience who would buy this product. Alternatively, you can engage with your niche audience on social media platforms and other online communities and market these products to them. Realistically speaking, this is the toughest aspect of making money online as an affiliate marketer especially when you’re a beginner with zero lists and zero audiences. You just have to be consistent in using the right strategies and techniques in promoting these products. 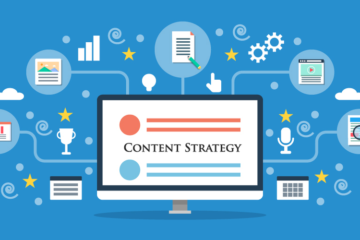 You should also continue to educate yourself by reading best and proven affiliate marketing content you can find online. Always have it in mind that there is no quick path towards success. Affiliate marketing may seem very tempting due to numerous encouraging testimonies and screenshots of big bucks merchants and affiliate marketers alike who have grossly benefited from it, but it really involves a great deal of hard work, consistency, commitment and persistence. You also need to be unique, creative and flexible. A lot of affiliate marketers newbies don’t have these qualities. When they don’t make sales in a short while, they quit and look for other short term make money online programs. In summary, affiliate marketing is a great fit for anyone looking to make money online with little investment. It’s always a win-win situation between the product creator and the affiliate marketer. Want to start earning with affiliate marketing? Follow the steps in this affiliate marketing for beginners guide and you’re on your way to becoming the next affiliate marketing rockstar, banging in those hefty commissions.